Ten years have passed since the Great Tokyo Earthquake, and the people's memories of the disaster have faded. Ganta Igarashi, a middle school evacuee, has finally begun to live a normal life...That is, until the day "Red Man" appears at his school and Ganta's fate is changed forever. 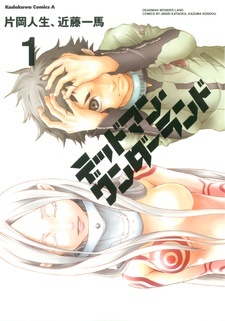 His entire class is brutally murdered, and although innocent of the crime, Ganta is sentenced to death and sent to the bizarre prison known as "Deadman Wonderland." An insane and brutal game of prison survival begins! Don't expect the second season, just read the manga.